Sales Funnels. What Exactly Are They? 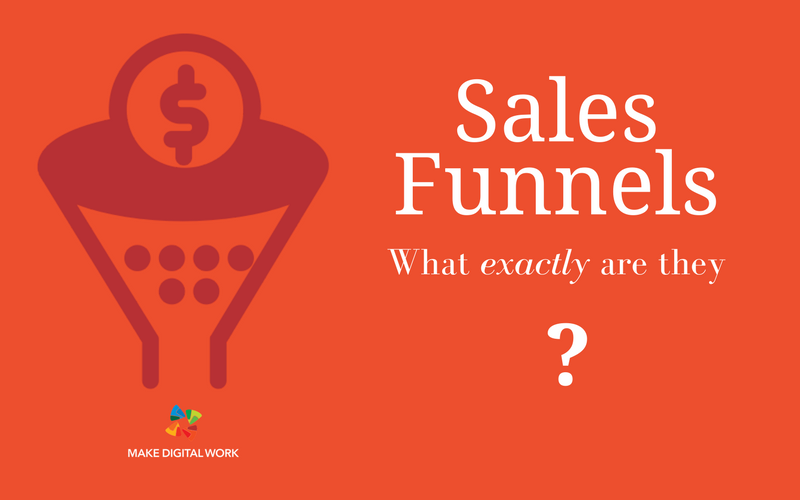 Unless you have been locked in a dark cupboard somewhere you have undoubtedly heard the term Sales Funnel being brandished around. Appearing in blogs, emails and marketing materials, but do you understand what they are and why they are a brilliant sales tool for any business serious about developing a pipeline of warm leads? In a nutshell, they are a system built to nurture leads, to increase engagement and turn visitors into leads, leads into prospects. It moves people through a logical sequence of events, taking them from a cold lead into a warm prospect and then getting them to buy and become a repeat customer. Visitors They are simply people that have visited your website or engaged with your content but haven’t taken any action at all. Leads have put their hand up, in other words given you their details in exchange for something you offer. And a Prospect is someone you have identified as very likely to buy. Funnels are just a system. They have been around in some format for a very long time. Before anyone makes a purchase (well in most cases, especially when spending a bigger budget) people like to get advice, hear from peers or friends about their experiences, perhaps hear a review, see a demonstration and perhaps look at similar products. That’s what a funnel will do, it will provide the relevant information people need at the right time, information that helps them to buy from you. We normally work with your existing sales process and create a funnel, a process that will free people up from answering the same questions or doing presentations everyday. An example of this is proving your audience with a very valuable but short video lesson, that has a Free checklist to download. After they download the checklist they get invited to an Automated Webinar where a demonstration takes place about your product or service. Read our Blog: Automated Webinars, The Perfect Way To Drive More Sales. After that they are given a limited time offer, can book a call or be invited to a VIP Event where you can talk to them. You can be sure anyone that has come through the process is ready to buy, and those that aren’t are added to a sales nurture programme for when they are. What you will see is that the number of leads that convert from one step to another becomes smaller and smaller, with an industry rule of thumb that you can expect is 8-15% conversion between each of the steps. So let’s work on 10% of a very conservative campaign. Say the video gets 2500 views, 250 people will download the checklist , with 25 listening to the webinar meaning 12 people will take the final step to buy. Then you can work that backwards from the Lifetime Value of each customer to find out how much each lead has cost you to acquire… measurable and predictable marketing solutions. Its not easy to get started, but I hope our Checklist will inspire you with ideas. Do you need to ATTRACT & CONVERT THE RIGHT AUDIENCE? 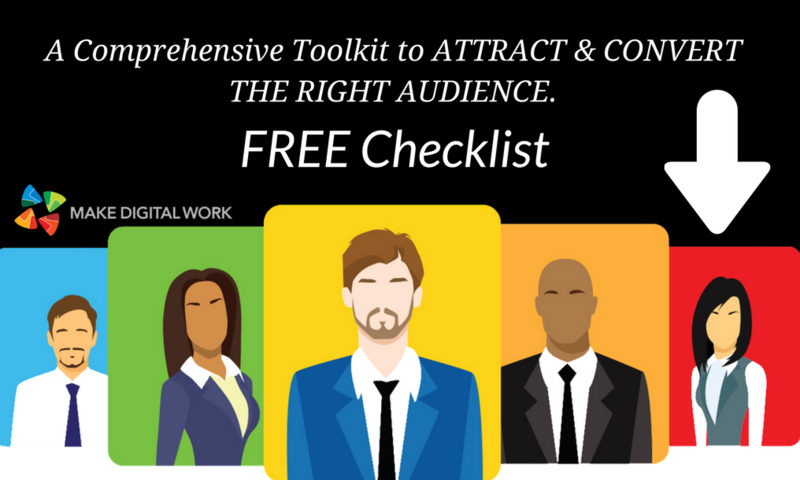 Download our FREE Checklist to get started.